I 'survived' the three days - I shouldn't say survived, because it wasn't that hard, actually - the juices were quite tasty, and their different flavours kept things interesting. I did the Level One "Reboot". The bottles were also 500ml each, which is quite a substantial - you don't really feel hungry at any point because you're constantly full of liquid. You're supposed to drink one every 2 hours. Generally I found that it took me 1.5 hours to finish each bottle, so there was very little time for me to think I wasn't putting something in my tummy. You'll feel the need to go to the bathroom a bit more, and will consequently drink a lot more water, which is, by and large, good for you. Without going into too much toilet detail, let's just say I noticed a difference right after my first bottle on the first day. My main temptation didn't come from hunger, it came from the desire to bite or chew on something that offered a little resistance against my teeth. At lunchtime on the first day, I cheated and had a couple of sticks of celery, which is actually allowed, per Bejuiced's cheat sheet. You're advised to "chew" the juices, as chewing starts the digestive process, and tells your body to rev up the system, but chewing juice feels dumb (not to mention, looks dumb - you really should stay home during the detox). I sat through Father's Day dinner with everyone else eating char siu and suckling pig, and was completely fine (okay, by the fifth cry of "wow, this suckling pig is so good," I got a little annoyed), and was more than content to sip on my Oh My Gazpacho instead. The morning after I was done was the big reveal. I decided to start the day as I usually do, with plain toast and a coffee, and see if my sense of taste had indeed been enhanced. Anticipating at least a minor difference, and having abstained from caffeine for the three days, I rewarded myself with my last ration of Geisha. Despite my subpar pourover skills, it was a delicious strawberry and cherry bomb. As for my toast, I tasted a lot more salt than usual in my sourdough. Decent signs, but not quite the revelation I was hoping for. At lunchtime, I had a pasta arrabiata, and already the effect had already seemingly worn off. So when it comes to wiping that sensory slate clean, three days of liquid dieting in exchange for a few hours of heightened tastebuds was, for my purposes, not really worth it. As for purging toxins from my body, or losing weight - I'm pretty sure I made up for the 3 days of "deprivation" within hours of coming off the program. A couple of interesting bonuses, though, were: a) my skin looked marginally better, and b) I realised how little I really needed to eat in order to not only survive, but still be rather normal and functional. 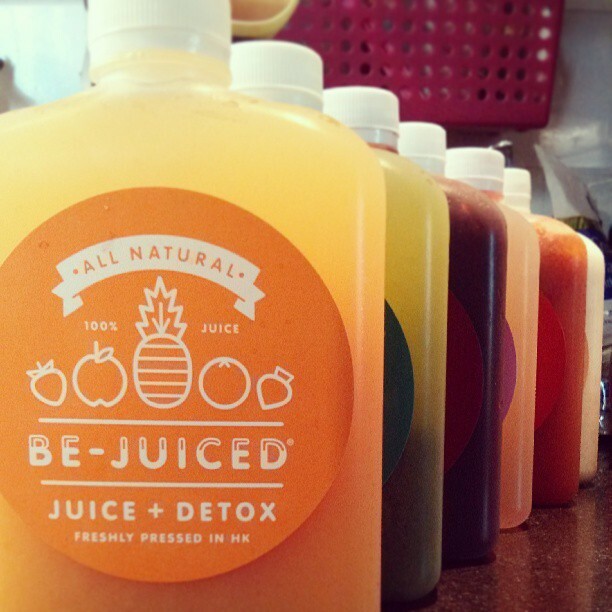 I say this because on the last day of the detox, I wasn't even hungry enough to finish all the juices. I just drank lots of water all day, and felt completely normal. I walked about a kilometre in the sun, and worked (a combo of physical and mental activity), just like any other day. *By the by, the scientific world generally agrees that juice detoxes, or detoxes of any kind, are unnecessary, because your body is pretty good at getting rid of toxins by itself thankyouverymuch - I assume they mean if you eat a pretty balanced, moderate diet - but as long as they're not harmful, it's a free world. This is a very interesting experiment that I would never try.... guess this is a trend....that can benefit a few. why not? Thank you for sharing your experiences! I agree with you and also prefer to have well balanced health lifestyle than eat junk and sometimes make cleansing diets. Congratulations for your 3 day juicing! If I were juicer beginner I think would never can juice for full 3 days. Maybe 1 day, maximum 2 on the starting point. Wow, you're very disciplined. As much as I love juice, my desire to chew food is pretty strong. I tried a raw vegan diet for a month to detox. I felt amazing at the end of the month, but I was also cold and tired all month.